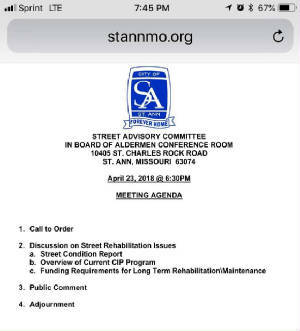 This Page will be used to keep public informed on analysis and information that comes out of our Street Committee, (designed to study our Budget and the needs of the City and Citizens) to come up with the Money to Repair, Reconstruct, and Maintain St Ann's City Streets, Sidewalks and Tree's. 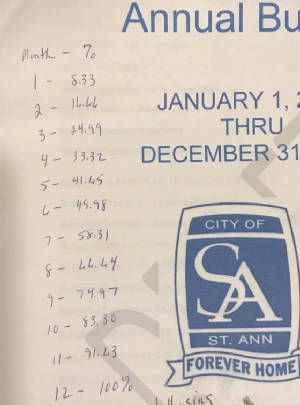 A big Thank you to the Board of Alderman for their 8-0 Vote, on Dec. 3, 2018 to allow the residents to decide by a Vote of the People...if we will Fix and be able to maintain our City Streets, Sidewalks and Trees. Thank you to the Citizen's Street Committee for all your work in 2018 to assist the BOA, in their decision. October 22, 2018 we held the final meeting of the Street Committee for 2018, pending the actions of the Board of Alderman they may be asked to attend 1-2 more meetings in 2019. 5. When the people voted to maintain the Police Dept. staffing level, we should honor that decision. Remember this is just the recommendation that will go on to the Board of Alderman, the BOA, will make the final decision to go ahead or not go ahead with this recommendation. Most of the Alderman were in attendance to hear 1st hand what their residents’ concerns were. 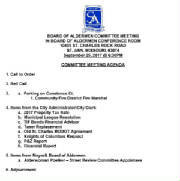 Please forward your thoughts to your alderman so they hear your voices. Thank you to the Citizens of the Street Committee for your service to your city. And Thank you to the Citizens who attended last nights meeting to help us decide. 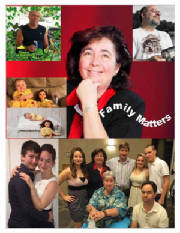 Also recommend viewing the You tube videos I have produced. Unfortunately, with the loss of Northwest Plaza which contained 144 sales tax producing stores compared to the 15 it will contain now, the Revenue from the Crossings will never be the same as in years past. In previous years with millions coming in - the previous boards never had to worry about revenue and if they wanted to fix or buy new - they just could. However they also saw no need for infrastructure maintenance into the future.... but this is where we are at today. With not only the need to fix and repair the infrastructure...streets, sidewalks, city trees.... but also set up a system that will keep this from happening again. As many of you are aware, I fought alongside the ladies in 2010/2011 against Prop S which was a Property Tax of 9.4 million dollars to fix our city streets. At the time homes were being foreclosed on left and right, and our greatest asset Northwest Plaza had been lost with no hopes of resurrecting the city’s largest revenue source. Thus, leaving the brunt of the cost on the backs of the Homeowners. Many of us were either elderly or out of work or had to take jobs that did not pay as much while companies laid off their full time workers to meet new regulations. 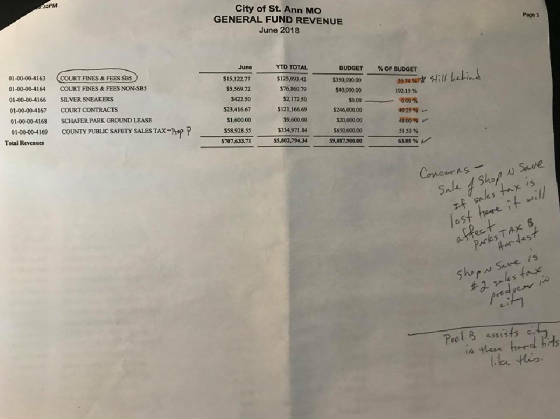 A property tax for this amount of money would have had to have taken 20 years to pay off, which also meant we would still be paying off the debt when the streets would need to be redone again. As a Board we have been looking for a solution to this problem ever since. 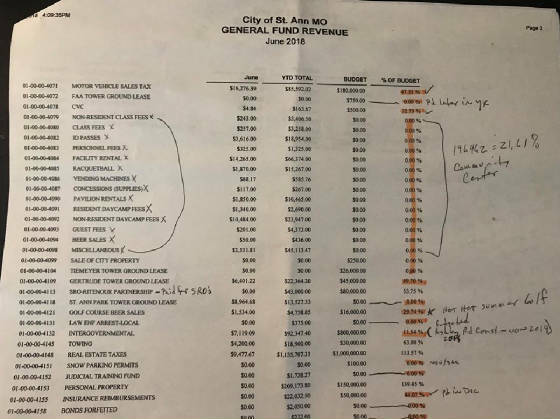 A TDD is a sales tax, through a Sales Tax then EVERYONE who visits one of our businesses, so Everyone who drives on our city streets would do their share to pay for the rebuilding and maintenance of our city streets. As some of you are aware of my thoughts on taxes, again I will explain why I put this vote in your hands. * Four years ago when we made the deal to get the Anchor store for the Crossings, the city rolled back its tax rate by .5%. * Our streets and sidewalks are in great disrepair, I have attached supporting documents below in this email. ***** EVERYONE and not just homeowners will contribute to fixing our city streets. * This is the last portion of the puzzle to fix in regards to correcting the lack of foresight that our great mall might fail someday, so money should have been put aside for maintenance/repairs of our infrastructure into the future, versus the spend at will of the past without worry towards the future. 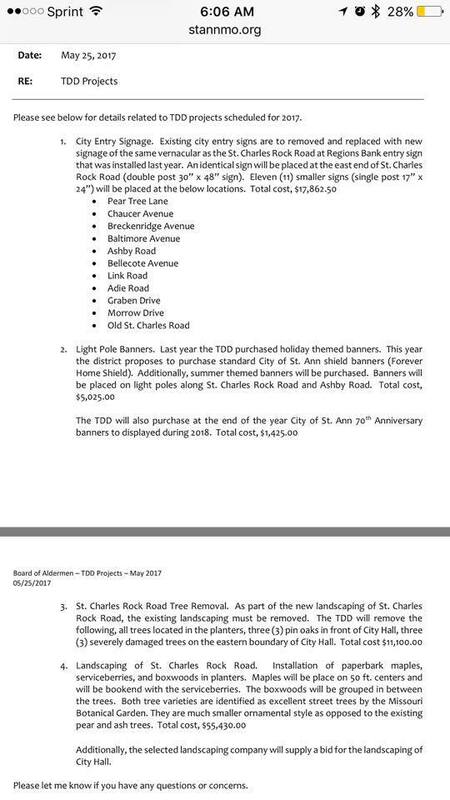 PS- Our staff can only handle about a million in repairs a year, the 2018/2019 repair projects attached below cannot take place without this TDD, the order of the projects to complete the city will be determined by a combination of cost, need and manpower but all streets will get done as seen in top picture on this email and this link to the TDD resolution on my website. 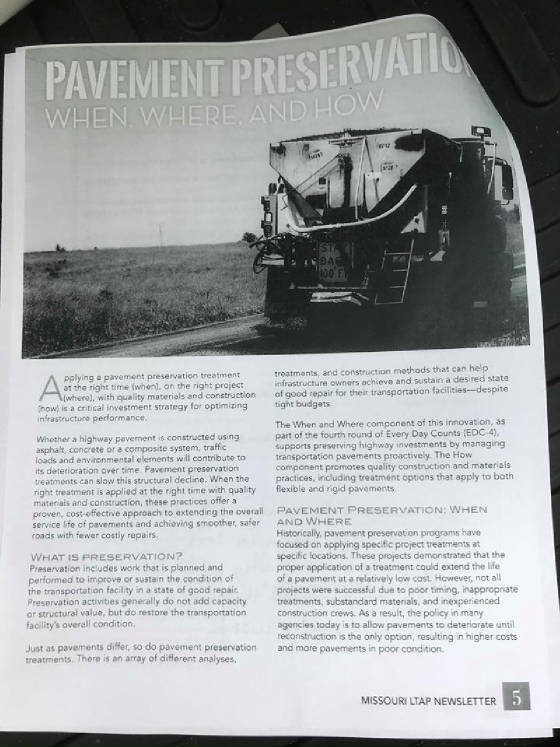 See pages 11-29 for TDD info and Payken TDD Presentation pgs 10-46 . The plan if this tax passes is to repair/reconstruct $1,000,000 in streets yearly plus repair/replace sidewalks yearly and address the tree issues. Next Street Committee Meeting is October 22, 2018 Mark your Calendars and plan to attend. 6:30pm at City Hall. Re - Study the 2018 Budget and the 6 month numbers on the website page below. 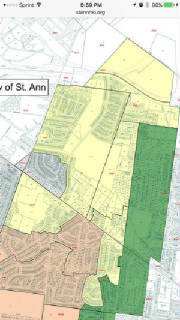 Re - Tour your Ward Streets to familiarize yourself with their conditions. Most of the potholes have been filled to the best of our ability to get through the winter months with the least amount of breakage. Your expressed opinion has been that we just did not get the word out to enough of the residents thus I have spent the last 6 months reaching out at city events, Ed has assisted, I have held separate meetings monthly on the 3rd Tuesday for the last 5 months to discuss streets and for my own ward I sent out postcards to announce this meeting. Previous meetings and this one, I paid for ads in the Localite to announce as well as information in our city newsletter. 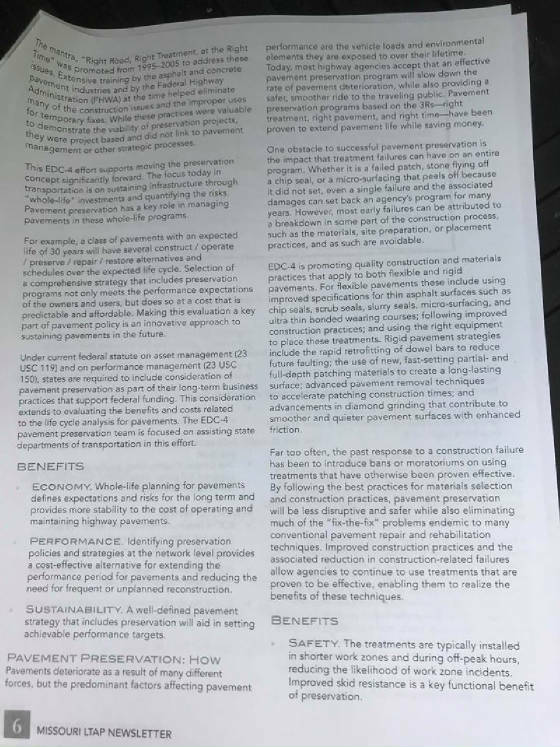 I copied and passed out to residents the Road Maintenance Program we have used since 2008 after our Street Director Vince Hamm supplied me with it. In the Oct 22 meeting we have asked and advertised for residents to attend to express their opinions, some have responded by email, some on social media. 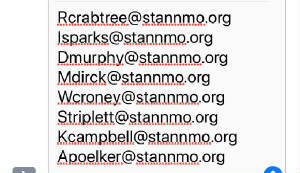 We have a petition with about 40 names collected during events where only 1 resident is against. We will be looking for a final outcome from this meeting from you the Street Committee and hopefully a room full of residents to make this decision. The Oct 22 Meeting will be videoed for a You Tube Upload so as many residents as possible can see the discussion. Your decision will be reviewed by the Board of Alderman, where they will make the final decisions on how to move forward. Your opinions and views have been very important in this process and truly assisted the Board of Alderman, in gaining a better understanding of the citizens needs in communication. Thank you for Volunteering for the Street Committee, should you decide, and the BOA agree to move forward with the decided upon outcome. We will be asking for your assistance again in 2019 to help get the information to the residents. There were some questions surrounding Community Service, here is the latest on that bill. 3. Requested Members to speak with citizens in their wards, would like to hear from each committee member what they learned doing so. 4. From the Committee Members, have you reviewed the budget? And do you have any additional questions about the budget? 5. Have you reviewed the Street Pci results and what questions do you still have about those numbers? 6. 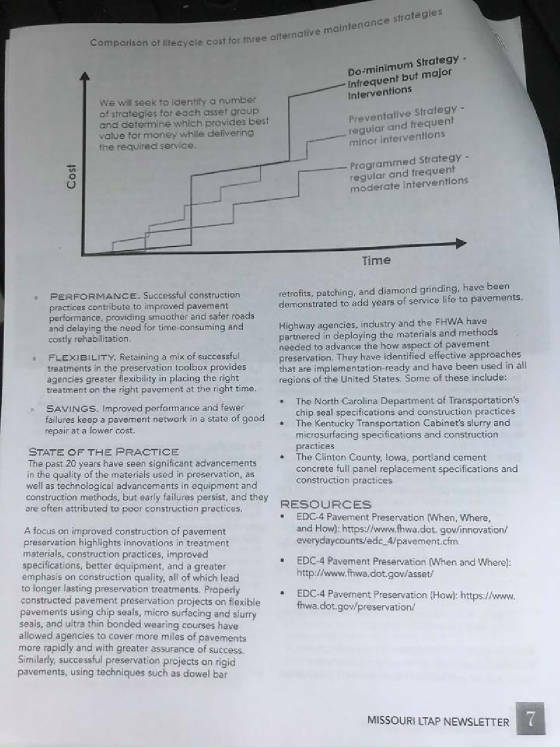 Present Memo of Current Street Maintenance Program explaining the maintenance. 9. Would like to hear each members suggestions for addressing or not addressing the streets. Thank you again for coming on 4/23 and learning more about our Streets and our Budget. I hope you learned a lot as well as got many of your questions answered. For the next meeting, I ask that you again check out your ward streets and while doing so please take the time to start a conversation about what you learned last night with any neighbors that you see while out and about. Now is the time to get their ideas and feelings on how to best serve their needs and get their streets fixed at the same time. We learned last night that of the 231 streets we have in the city, only 49% of them have had any type of work done to them at all since the early 70's. We learned that prior to 2008 our streets had NO Work done at all to them for 10 years. We learned that just for Street Work alone based off 2016 numbers it would take just over 11 Million Dollars to address. (again, does not include maintenance once addressed, does not include sidewalk issues, does not include City Tree issues) thus on the average we would need approx. 11 years’ worth of 1.2-1.3 Million Dollars of revenue to address all 3 and after that, money to maintain into the future. Unfortunately, this has never been addressed by the city over the last few decades. In the past they depended upon the Sales Tax at the Mall to pay for things as they needed them, without planning for a day when it may no longer exist. 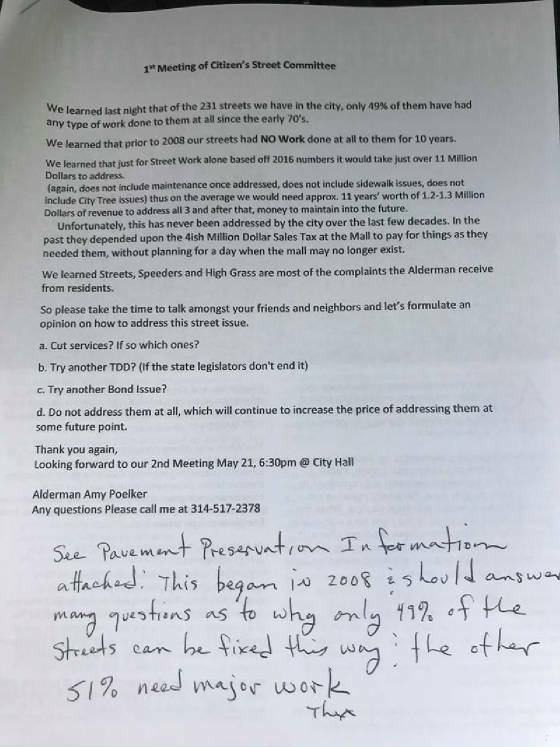 We learned Streets, Speeders and High Grass are most of the complaints the Alderman receive from residents. So please take the time to talk amongst your friends and neighbors and let’s formulate an opinion on how to address this street issue. a. Cut services? If so which ones? c. Try another Bond Issue? d. Do not address them at all, which will continue to increase the price of addressing them at some future point. Looking forward to our 2nd Meeting. Tour your Ward Streets to familiarize yourself with their conditions. Today my letters went out to our Street Committee Members. These residents were put together to assist the Board of Alderman in making decisions on how we will fix and repair and replace our city streets. We meet for the 1st time on April 23rd. We estimate the total cost to fix, repair and maintain our city streets, sidewalks and trees to be about 1.3 Million dollars a year. Repairs necessary for the next 15 YRs and maintenance after that. They will be tasked with reviewing the City Budget, Staffing, Expenses, Services, etc. to represent you the citizens as a sub type committee of the Board of Alderman, so that we can get additional insight to your needs and preferences for fixing these streets. 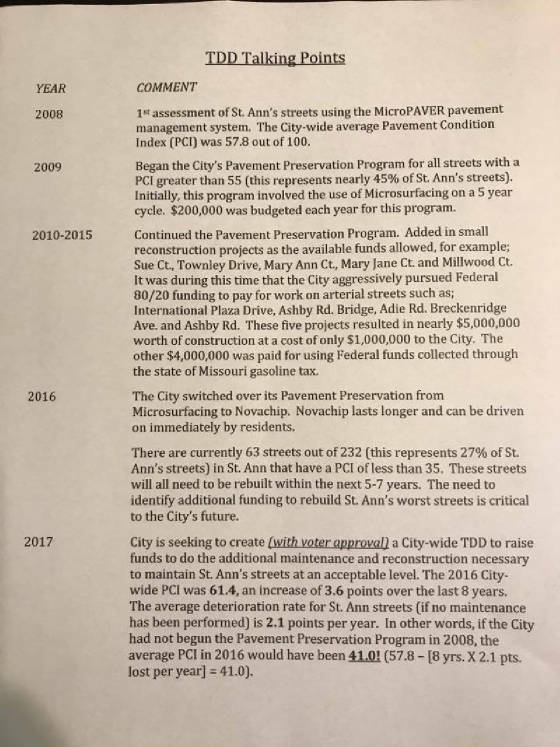 We have done this because 2 Street Props have failed over the last 8 years and basically the city only has $200,000.00/Yr currently to dedicate to street repairs. I do take some blame for the 1st prop failing. It was a personal property tax and in my opinion at the time with the many foreclosures occurring 2008-2010 that this prop would not raise sufficient funds. So i was amongst those residents fighting against that prop in 2011. What I would like from all of you is your opinion's, frustrations, idea's etc. that I can present to this committee on your behalf, so they understand where you want the direction of the Streets to go. We have exhausted all but one Federal Grant and the one left will be applied for within the next 2 years. 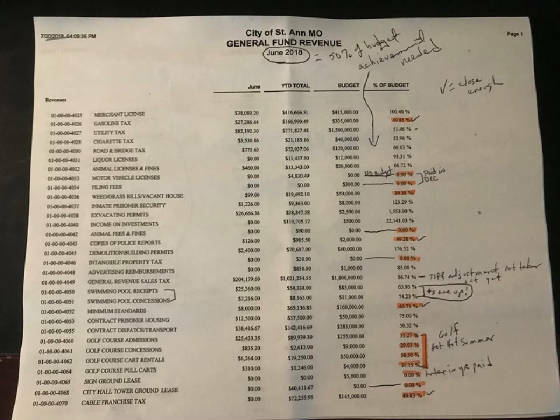 These were all typically Million Dollar streets which the Federal Grant pays for 80% of, leaving the city to pay it's 200,000.00.
redirected those dollars for the renovation of St Shawn, St Linus, St Matthias, St Leonard over the next 4 years. No worries the $150,000 is still available and if the monies get used up we can redirect back to homeowners yearly. In 2017 Budgeting the BOA, altered the departments of Code Enforcement, Parks and Streets. We moved the Supervision of the Parks Dept. (Outside Maintenance People) under the Street Dept. this change allows use of additional labor as needed during non peak Park times Ex. 9 Trees were removed from the cities tree list since January as a result. And additional labor to assist with Street needs. Code Enforcement will be a separate dept with its own supervisor. One inspector will do Occupancy, One inspector will do code enforcement and the supervisor will manage and assist where needed with both. to placing it on a Ballot.